Iraqi Prime Minister Haider al-Abadi said Tuesday he would reluctantly comply with renewed US sanctions on neighbouring Iran, but recalled his country's 12 years under international embargo. "We don't support the sanctions because they are a strategic error, but we will comply with them," he said. "In general, sanctions are unjust." 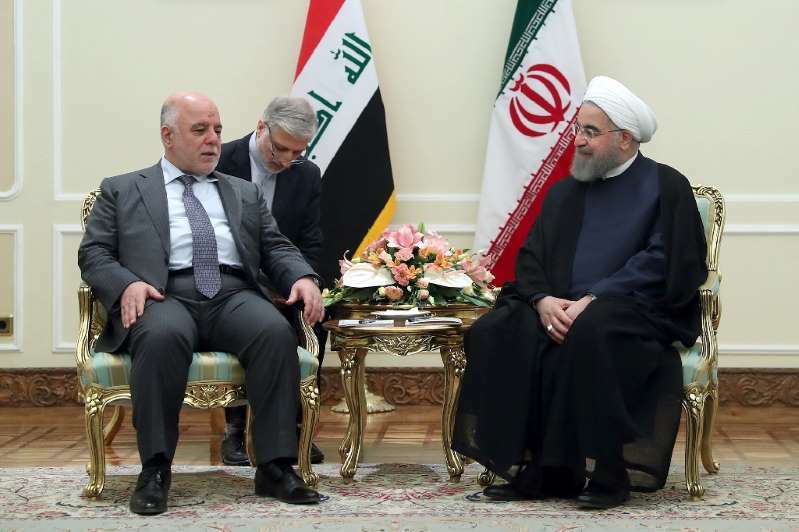 "We are committed to protecting our people and their interests," Abadi said. Baghdad is allied with Washington, a strategic partner in the war that saw Iraq declare "victory" over Islamic State jihadists in late 2017. But it also has strong ties to Tehran, a Shiite powerhouse that is heavily involved in Iraq's political affairs. [post_ads]Iranian private companies recently cut off power supplies to Iraq's oil-rich coastal province of Basra over outstanding payments. The United States on Tuesday re-imposed a wave of unilateral sanctions against Iran that had been lifted in 2015 under a landmark nuclear deal between Tehran and world powers. President Donald Trump withdrew from the deal in May, triggering Tuesday's reimposition of sanctions targeting Iran's access to US banknotes and key industries, including cars and carpets. That is set to be followed by a second wave on November 5, targeting Tehran's oil and gas sector -- vital to its economy -- and the Central Bank. The sanctions are expected to weigh heavily on Iran's already struggling economy, which is suffering from high unemployment and runaway inflation. Iran's currency has lost nearly half its value since Trump announced the US would withdraw from the nuclear pact. Iraq suffered through more than 12 years of harsh international sanctions beginning in 1990 after Saddam Hussein invaded Kuwait.